Researchers claim that only about 6 percent of U.S. homes currently have some form of home automation facilitated by iOS devices, which isn't surprising given the higher costs of these emerging technologies. Here's a look at how you can take advantage of the holiday sales to get in on the trend while on a budget. Apple's HomeKit and Google's Nest technology are the heavy hitters in home automation, with them both relying on Bluetooth and wi-fi. However, for the most part, Apple's HomeKit and Nest devices are incompatible without some form of bridging and translating software. Apple has brought refinement and polish to home automation with HomeKit, and Nest has some hardware that HomeKit doesn't, like the outstanding, eponymous Nest Thermostat, and a wide array of cameras available for the Nest ecosystem. While an all-HomeKit solution is optimal from an operational and security standpoint, a mixed system with Nest and HomeKit devices controlled by two apps is better than using six different apps from five different hardware vendors with a mishmash of vendors and technologies. 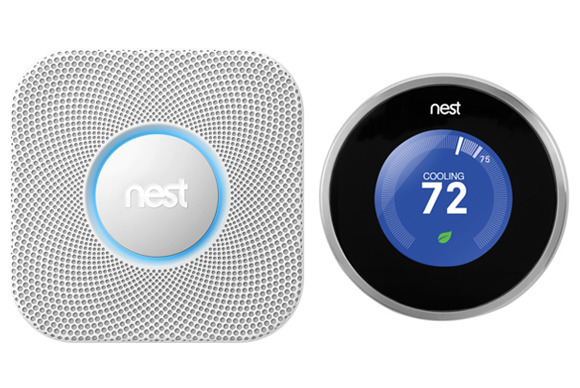 At the core of any Nest system is the Nest Learning Thermostat. In 2011, Tony Fadell, the proclaimed "father of the iPod" launched the first generation of the thermostat, and for a time, it was stocked in Apple stores. That is, until Google bought Nest Labs. Apple and Google have gone their separate ways, but the Nest Learning Thermostat perseveres, and the third-generation of the Nest Learning Thermostat controllable by Alexa, Android, or an iOS app, is currently available for an all-time low of $185.00 on eBay Deals with no tax in most states. For iOS users, the Nest app controls the entire ecosystem of compatible devices, just like the Home app does on iOS for HomeKit. Just be aware, that HomeKit support is probably never coming to the Nest Smart Thermostat itself —but that's not necessarily a bad thing. While moats and other medieval defensive measures are frowned upon by most counties, what good is a castle without a good lock? 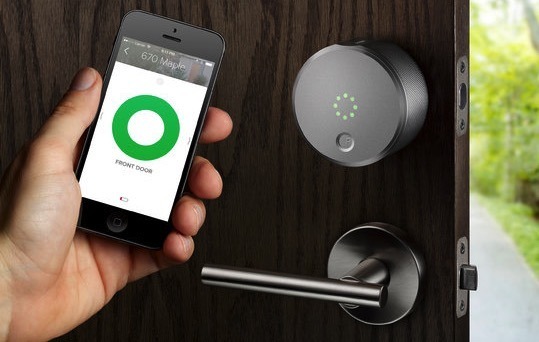 The August Smart Lock with Apple HomeKit integrates with a home automation system on iOS through the Home app, or Android with a stand-alone app, and besides just auto-unlocking the door with a user's proximity, allows for "virtual keys" to be sent to provide temporary access for specific dates and times. The lock only replaces the interior portion of a deadbolt, and allows for traditional key use at any time. Additionally, the app on either platform logs access times, providing the user a security log. The retail price on the August Smart Lock is $230, but it is currently on sale for $195.99. Apple's HomeKit is lacking a good outdoor security camera right now. While that should change at some point, a good option for the Nest ecosystem is the Nest Cam Outdoor Security Camera. The camera records 1080 resolution at 30 frames per second, with a 130-degree field of vision. An array of 8 infrared LEDs allows for capture of the scene, night or day. 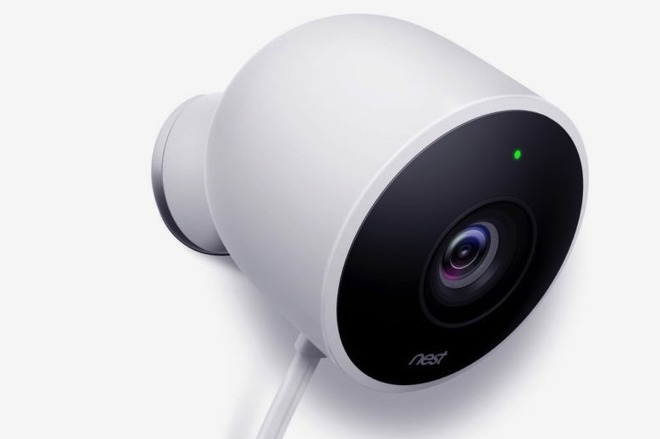 Through the Nest app on Android or IOS, the camera provides two-way audio, and connects with Bluetooth Low Energy and 802.11n wi-fi. An individual camera sells for $200, but users needing a pair for full coverage can get a set for $348. Alternatively, Amazon currently has a single camera for $182.87 with two-hour delivery in some locations. 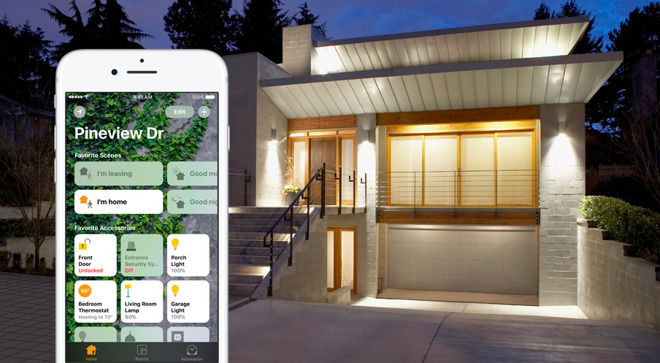 The real promise of home automation is energy savings and customizable, automated lighting solutions. The Philips Hue system not only has full HomeKit compatibility, but features scheduling and remote control, and the ability to project one of up to 16 million colors, and is dimmable for ambiance. 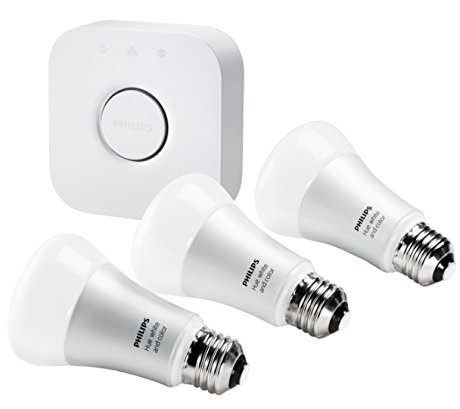 The Hue White and Color Ambiance A19 Starter Kit from Philips retails for $199 and includes 3 Hue White and Color Ambiance A19 Single Bulbs and one Hue Bridge. Additionally, the system is compatible with Nest! Or, if you're not into the Philips HomeKit solution, Lutron has a HomeKit and Amazon Alexa-compatible setup. It has similar specifications, and includes bridging hardware for your network, as well as dimmers, with bulbs sold separately. A starter kit with the bridge, and two dimmers retails for $300, but is currently available from Amazon for $189.95. Elgato has an entire system of products geared towards the home environment, beyond just a thermostat for a furnace. The Eve system has sensors for the weather, the home's ambient condition, and offers smart controls for an old cast-iron radiator as well. 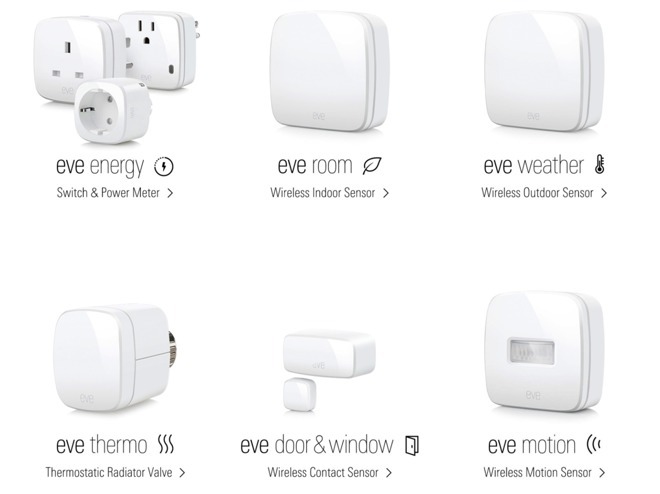 The entire environmental system compatible with HomeKit and Siri includes the Eve Light Switch, the Eve Energy switch and power meter, the Eve Room wireless interior sensor, the Eve Weather outdoor sensor, the Eve Thermo thermostatic radiator valve. Security add-ons include the eve door & window contact sensor, and the wireless Eve Motion sensor.